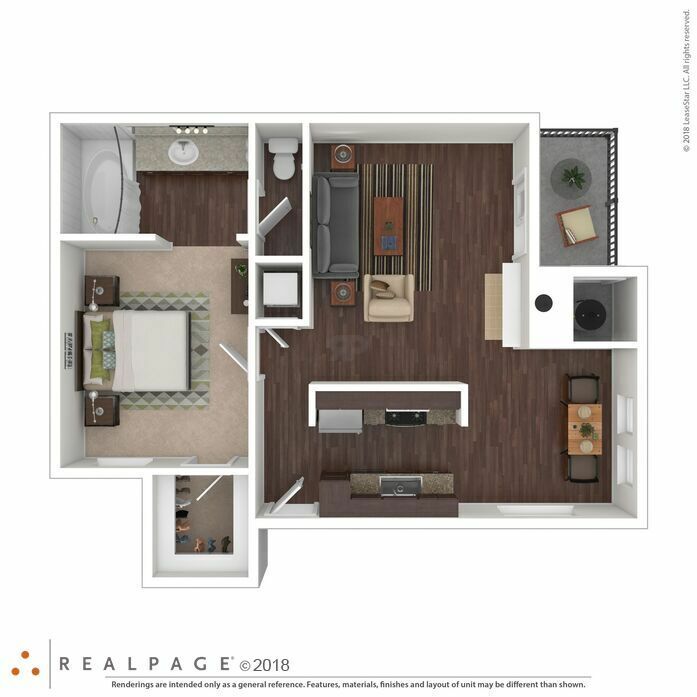 Residents of Breakers enjoy luxury living with modern styles, private balconies and impressive amenities. This popular floor plan features granite countertops, a fully-appointed kitchen with stainless steel appliances in select apartments, beautiful espresso cabinetry with sleek brushed nickel hardware, modern wood vinyl flooring, a full-size washer and dryer, spacious walk-in closet and relaxing Roman tub. 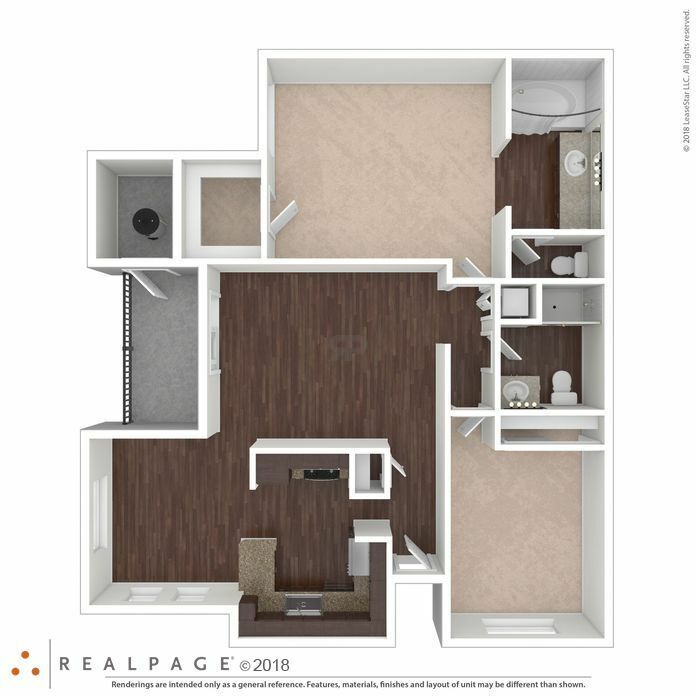 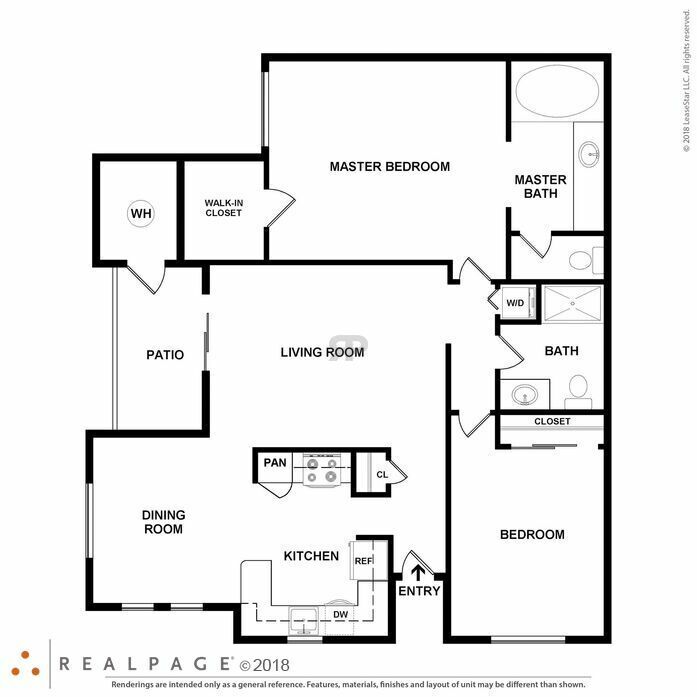 This floor plan features beautiful espresso cabinetry with sleek brushed nickel hardware, a fully-appointed kitchen with stainless steel appliances in select apartments, modern wood vinyl flooring, a full-size washer and dryer, and private patio or balcony. 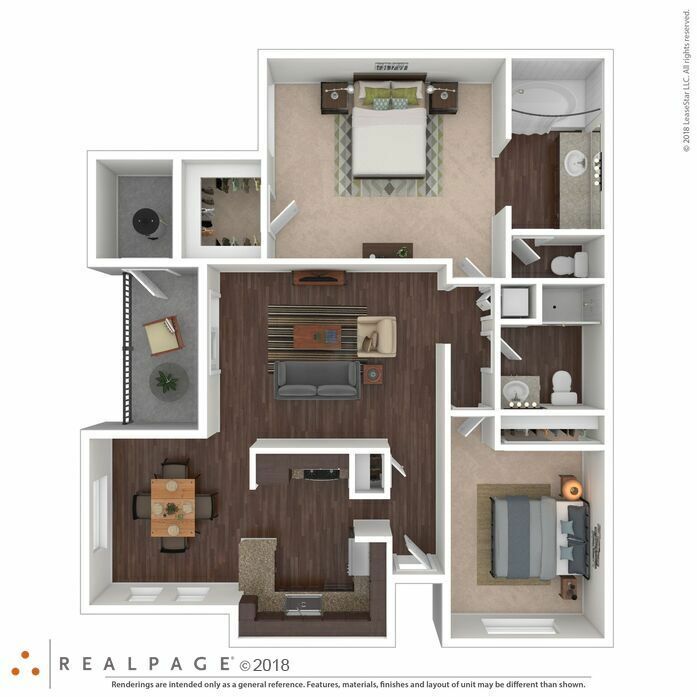 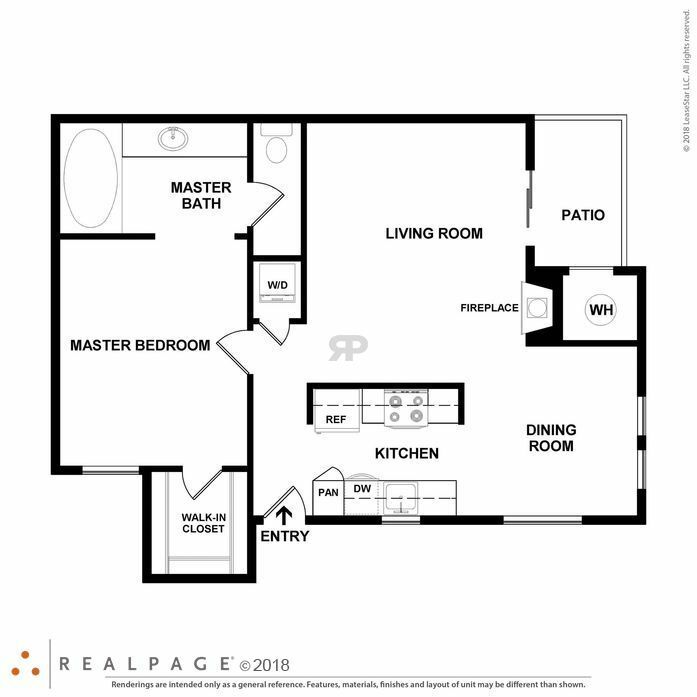 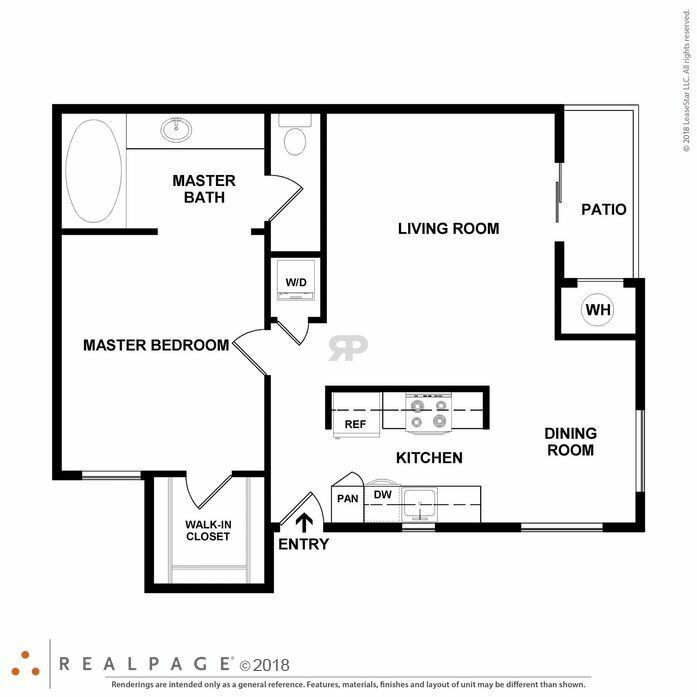 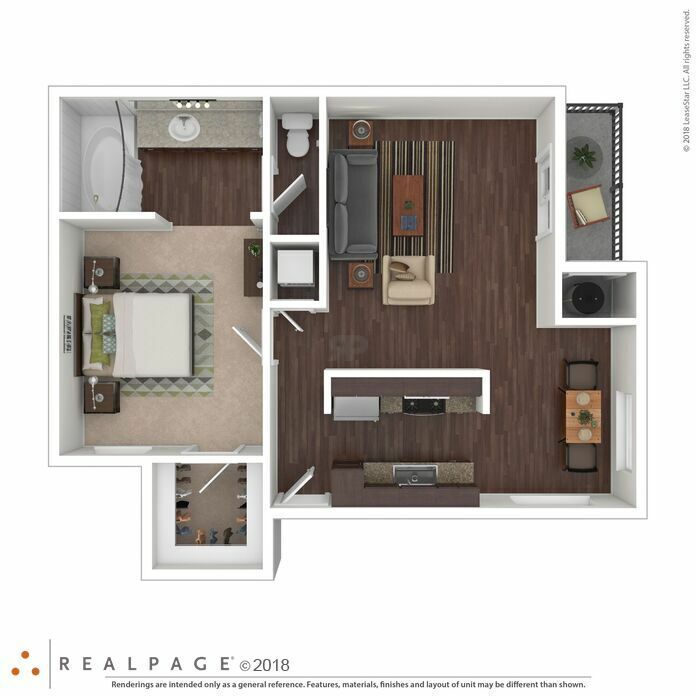 This spacious floor plan features granite countertops, stainless steel appliances in select apartments, beautiful espresso kitchen and bathroom cabinetry with modern brushed nickel hardware, updated wood vinyl flooring, a private patio or balcony, and a full-size washer and dryer.